Middlesex and Somerset Counties have voted and two of our offices were awarded best of the best in their respective counties. The awards were published in the Home News Tribune & Courier News as part of the Reader’s Choice Awards. We are so grateful that the community took the time to vote for us in the “Best People and Services” section. The votes were tabulated online and from printed ballots that ran in the newspaper during the months of July and August. 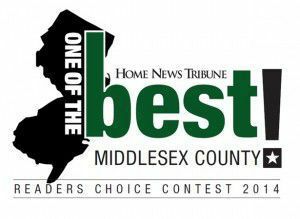 The winners were announced in the October paper and the listings can also be found online at www.mycentraljersey.com. Our goal in the community is to serve people, and help them feel a pain free life. We want our patients to consider themselves part of the family while giving people in the community the best and safest options to treat their feet. We appreciate the recognition from Home News Tribune and we hope that we will continue to be recognized by the community.